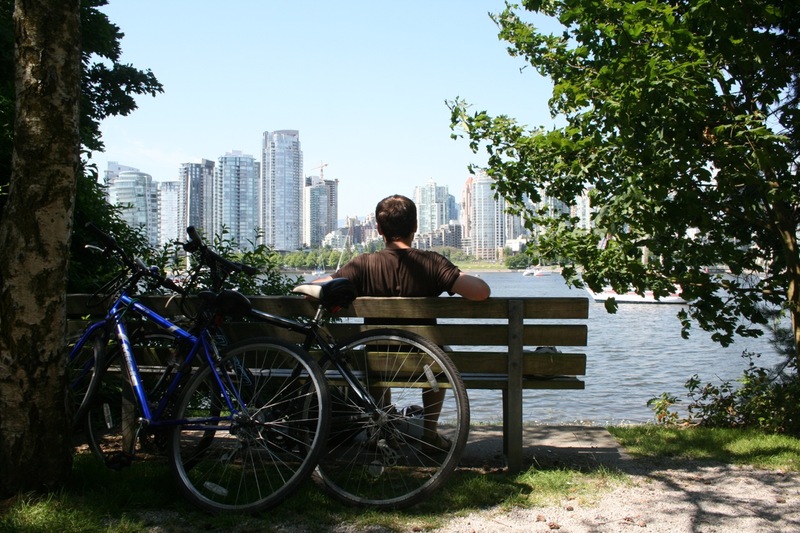 During my year in Vancouver, I learned to love cycling in the city. Riding my bike along the city’s beautiful Seawall, through Stanley Park or to Downtown, cycling to my favourite coffee shops, restaurants and other places in the West End or simply exploring other neighbourhoods around the city made me quickly realize that cycling is about more than just getting from A to B.
It’s about nature, humans, freedom, love, inspiration and so many other important things in life. It’s about relationships and community, and I guess there’s no better way to show this than with Vancouver Cycle Chic’s stunning series of short films on cycling in the world’s most beautiful and livable city. Produced by local cycling advocate Chris Bruntlett and his team, these films are not about bikes but about people, places and the diversity of the city. In this sense, their latest film on Gordon Price and his partner Len Sobo is also more about their beautiful lives, neighbourhood and relationship than about cycling itself – or, to put it in Gordon’s words, “a profile of us a couple, on an afternoon jaunt in the West End on a cold day in November”. And here are the other short films featuring four inspiring residents of this city telling their individual cycling stories, talking about their diverse backgrounds and neighbourhoods and introducing us to the beauty of their city. Have a great Sunday!